Handmade jewelry from San Diego, CA. Announcement Welcome to Pippi Lane! All jewelry for sale in this shop is handmade by me, MaryBeth, in San Diego, CA. Please send me a message if you are interested in custom orders. Please follow me on Instagram @pippilanedesign and Facebook at Pippi Lane Design. Welcome to Pippi Lane! 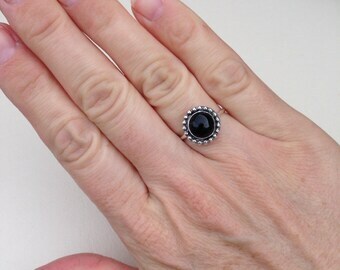 All jewelry for sale in this shop is handmade by me, MaryBeth, in San Diego, CA. Please send me a message if you are interested in custom orders. Please follow me on Instagram @pippilanedesign and Facebook at Pippi Lane Design. These special order earrings are perfect! Just the right length! They arrived very quickly too. Très belle bague, très fine pour un spinner. Envoi très rapide. Je suis ravie!!! LOVE my large sterling silver Peace earrings! Such great customer service and crazy quick shipping! Thanks bunches~ going to get lots of wear for sure! My love for art shows in each jewelry piece I create - each unique and all handmade. Growing up with a Mother who is an artist, I've tried just about every medium there is in art. One of my favorite past times was going to art fairs and looking at all of the metalwork. I decided to take a class learning the art of being a silversmith and fell in love with the process. Before I create a piece I first sketch out the design. I start with my basic idea and throughout the process the design evolves. Polishing and holding the finish product is my favorite part. I love mixing metals so many of my pieces are created from two or more types of metal. I never use nickel or steel - my primary metals are silver, gold, brass and copper. Handcrafted jewelry has always been an interest of mine - especially metalwork. I enjoy all things artistic and try to come up with unique and fun designs. I currently reside in sunny San Diego, California. Everything in this shop is handmade using soldering techniques. I first sketch out the design and then create. I consider myself an artist - not a jeweler. I want you to be completely satisfied with your purchase. Therefore, if the item ends up being different than you expected, once you receive the piece, I will take returns. I do not take returns if the item has been worn. Shipping costs will be covered by the buyer. If the product you are purchasing has been created, I will ship within 2 days of your purchase. If the item is custom (anything made to order) I get it out as fast as possible (3-4 days). I try to keep shipping costs down so I will choose the most economical way unless you indicate otherwise.